Fine to Drive is an original Americana band residing in St. Louis, Missouri. Capturing the nature of traditional Americana they effortlessly blend country, folk and blues to create a fresh and yet comforting sound in their roots-driven music. Their first full-length album What Whiskey Did was released February 2018. As versatile and energetic as they are true to the classic spirit of country music, Fine to Drive’s first album proves they are an undeniable powerhouse thanks to their distinct and dynamic male and female vocal harmonies, unique sound and authentic songwriting. The album starts off with just the right amount of twang and lyrical sass in the song “Everything but Love,” a playful take on the American dream and picturesque suburban life with that clap-your-hands and stomp-your-feet feel that invites you to the dance floor. Their wonderfully phrased two-part harmonies shine in the ballads “I Can’t Count on You” and “Wreck My Life”makes you want to sing along to every heartbroken verse and chorus. The title track “What Whiskey Did” is a bourbon soaked alibi highlighting the Dobro blues guitar sound that slides its way in and out of the entire album. “Nothing to Lose” stands out as the feel-good song of the album making you want to hop in the nearest convertible and head for Mexico. As a whole What Whiskey Did is genuine, balanced, strong and goes down smooth just like the drink it’s named for. The band began as an acoustic duo, founded by Michael Eisenbeis and Suzy Bacino. Michael is a well-respected veteran of the St. Louis music scene, founding the regional touring punk group The Nukes in the early 1990s, as well as playing guitar and singing in a diverse mix of projects ranging from rock and roll to bluegrass. 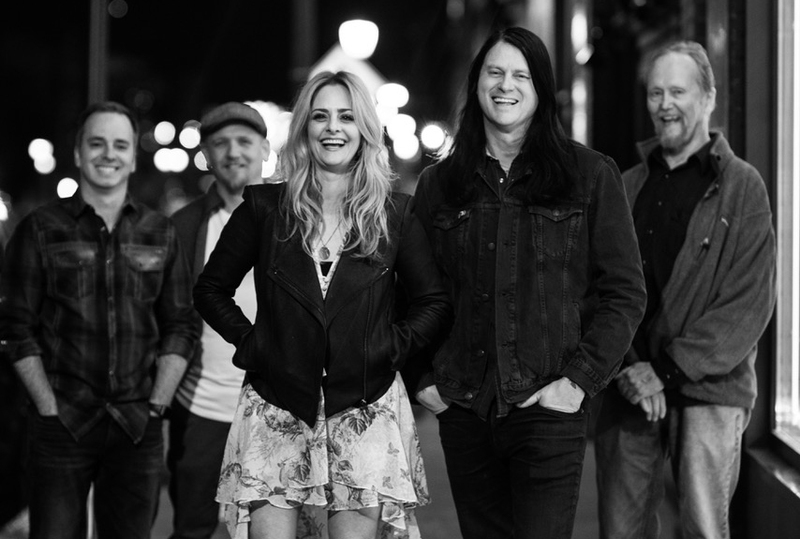 Suzy co-founded St. Louis Magazine’s A-List band Whiskey Morning in 2013, and has continued to sing and write music for various projects, including the 2016 release of Whiskey Morning’s album, The Here & Now. After discovering they both have cats named after Loretta Lynn, the most awarded female country recording artist with a career spanning over six decades, Bacino and Eisenbeis knew they were destined to make music together. The harmonistic duo went on to form Fine to Drive and shortly thereafter, expanded the group to include heavy hitters: Bob Breidenbach on dobro, pedal and lap steel; Adam White on drums and percussion; and Quinten Coe on the upright bass.